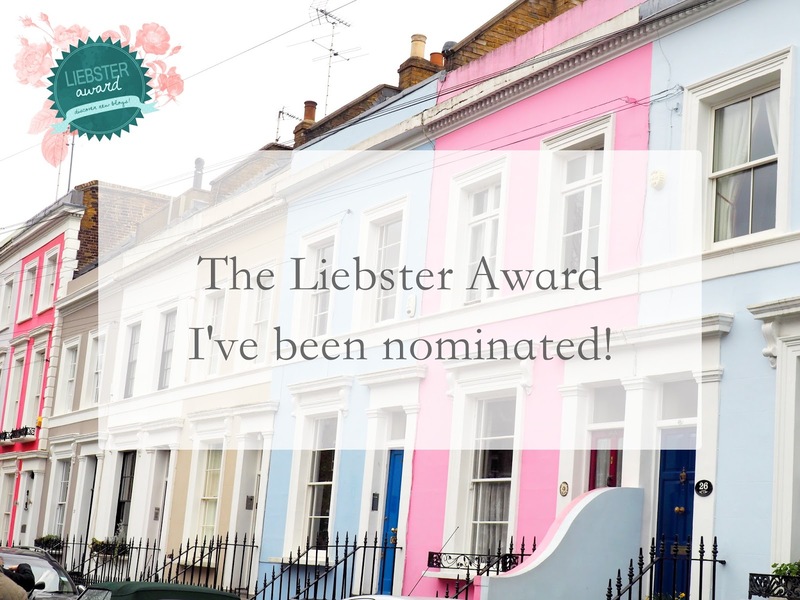 Firstly, I would like to say thank you to Amy at The Lovely Things for nominating me for the Liebster award. After a little googling, I have discovered that this is a chain letter style chance to highlight fellow smaller bloggers (less than 1000 followers) who you have discovered and enjoy reading. Usually I would be sceptical of these things on social media, but the idea of bringing bloggers together to celebrate new members to the community, along with learning about fellow bloggers is not something I can really find fault in! So I was shocked as well as delighted that Amy chose my blog as one of her nominations! I'm Katie, 24 years old, a twin with triplet sisters from Norfolk. Now living in Oxfordshire but commuting to London for work. I love keeping busy, have a rather unhealthy obsession with beauty products and love everything white & grey. I have always been an avid watcher of youtube accounts such as In The Frow, Samantha Maria and HelloOctober to name a few. From there the blogs just followed, I've always loved writing and having a creative outlet is keeping me busy busy busy. Your favourite Instagram account to follow? What is your favourite blog post of your own and why? My favourite was actually posted on Monday!! It is titled 'How to stay level headed when hit with change'. I love writing lifestyle posts like this, as I can get a bit more personal. Another is my review on Blogosphere found here. I had such fun writing this post. YouTube, Bloglovin & a wonder around London. How do you like to spend your day? My favourite days are when I manage to have a little lie in, followed by a nice brunch out with my boyfriend or friends. Exploring a new city, taking photos and generally relaxing. Best coffee shop or hangout spot you've been to? Advice you would give your 5-years-ago self? Just do it. Stop thinking about what other people think of you. All will work out in the end. She isn't small by no means, but Victoria from InTheFrow will always be my go-to for fashion, beauty and lifestyle inspiration. Having met her at one of her meet ups I don't think this will ever change, I'm in awe of the woman! Something you want everyone to know! Tash from Its Simply Beauty, found here. I have recently discovered her blog as well as youtube channel, I'm hooked! Jess from The Beauty Sanctuary, found here. All things beauty related with some great tips, especially love her photography. Jessica from Cocoa Chelsea, found here. Not so little as very fast approaching 1000 followers on Bloglovin, but I love the style of her blog and Instagram. Also, isn't she beautiful! Sarah from Pedal & Pout, found here. A close friend who started her blogging journey around the same time as me as an outlet to document her journey from 'exercise phone to newbie cyclist' with beauty thrown into the mix. 1. What made you take the leap and start blogging? 2. When did you start reading blogs? 3. Who is your favourite youtuber? 4. What is your favourite social network at the moment? 5. What are your aspirations for your blog? 6. Where would you next like to visit? 7. If you had to live anywhere else in the world, where would you choose? 11. Other than blogging, what do you love to do? Thank you Amy for the very kind nomination. Have fun girls, I can't wait to read your answers!